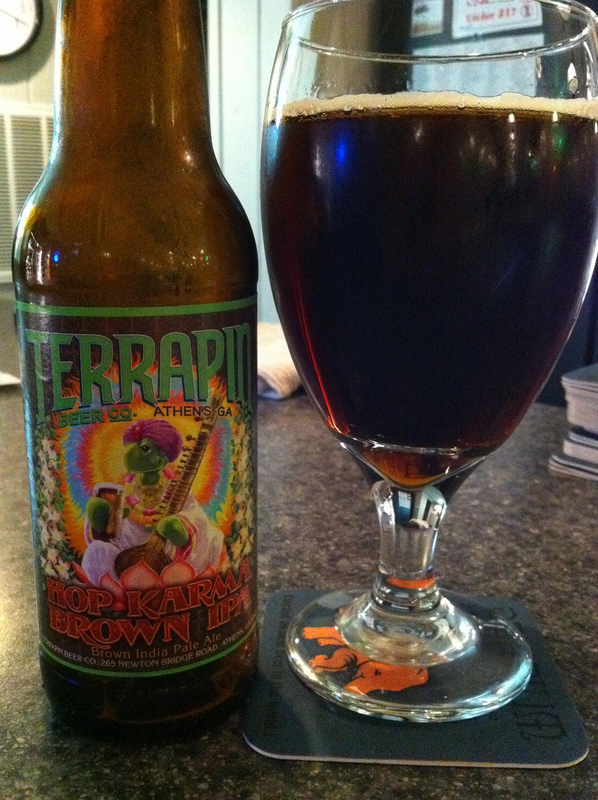 Terrapin’s Hop Karma Brown IPA has a mixture of aromas that include the cocoa aroma of a brown ale blended with hoppy flora of an IPA. Wow! The beer poured with nice head that faded to a mild amount of lacing around the glass with minimal bubbles left. The beer is crisp in the mouth with a nice strong mocha malt flavor that reminds me of Fuller’s London Porter. The hops kick in during the finish to provide a very good bit. This beer has been a nice surprise and it will be one of my regular beers. 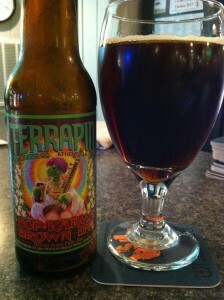 This entry was posted in Brews and tagged Brown IPA, Terrapin by Brian Allen. Bookmark the permalink.